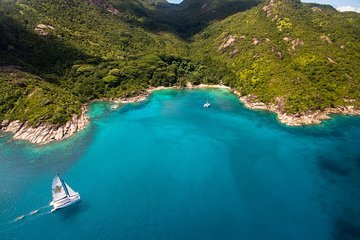 Explore the land and sea of Anse Major on this full-day tour in the Seychelles. Get to know the gorgeous natural landscape of the islands through hiking, swimming, and snorkeling. A guide will accompany you to provide commentary and supervision during your activities, which include a barbecue lunch midday to keep you energized. Bring your camera for epic views and photo ops of the coast as you travel via boat.